Parrots are slobs. When they aren’t flinging food at the walls, they’re pooping on the floor. Wood chips and toy parts are everywhere.The dust and dander alone is enough to make you cry. Literally. It is very difficult to keep your house in pristine condition when you live with parrots, but we do have to try.The result of an unclean home will be sick birds (and humans), insects, rodents, and perhaps an unwanted relationship with the Board of Health. A birds respiratory system is a delicate and intricate machine. Any product that comes in an aerosol spray bottle is automatically out of the question for use in a home that is shared with a bird. The contents of an aerosol bottle are under extreme pressure. When released, they come out with force in a fine mist that looms in the air. The mist can flow freely from room to room with natural air currents or with the help of your home’s air system. They are dangerous as are any products that produce fumes. Oven cleaning products (and ovens with self cleaning features) are often cited as the cause of death for many birds. Everything in your bird’s path will wind up in its mouth.This includes its own feet after they have walked on your newly washed floor. Your bird must never come in contact with chemicals or its residue.. When using products that are safe for your bird, which I will list below, use them sparingly. A little goes a long way. Manufacturers will recommend that you use more than is really necessary because they want you to run out of it sooner so you have to buy more. Further, the more of a product you use, even the safe ones, the more difficult it will be to rinse clean. When washing things that have food matter on them, remember to rinse your cleaning cloths and brushes often. Food gathers bacterias which can be transferred from one item to the next during the course of cleaning. Never introduce chemicals into anything that you use in conjunction with your birds, such as spray bottles, steamers or cleaning tools. Elbow grease is an effective cleaner. Mild dishwashing liquid: Sometimes I feel things needs a good, old fashioned scrub down with soap and water. I wash cages, toys and perches safely with a small amount of Dawn. White distilled vinegar and water: I use a cup or two per gallon of water. This cleans everything from cages to mirrors. I use this solution and soapy water, as above, as my main general house cleaners. Steam: If you have a bird that manages to get food into toy and cage crevices, this is a great method of cleaning. 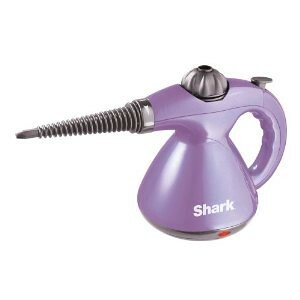 The hot steam gets into places that can’t always be reached with cleaning tools. It’s perfect for cleaning playgyms and porous perches. It kills mold and fungus too. There are hand held models available at some online bird stores. Never use anything but water in your steamer. Laundry detergent: I know a lot of you have birds that play with towels, under sheets or are always in contact with your clothes. Some even help do the laundry. I use Tide, but in lesser amounts that is suggested because I want to be sure that any residue is removed in the rinse cycle. I clean my bird’s cage covers with this, and if you read my last post, you know that the cage cover spends a lot of time in Linus’ mouth. Don’t use fabric softener sheets, like Bounce, with fabrics your bird will come in contact with. 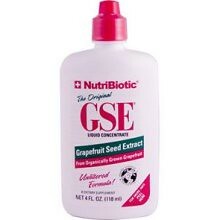 GSE (grapefruit seed extract) – This is a very effective antibacterial cleaner and great to have around for cleaning things like cutting boards, kitchen counters, and other places where food has been or will be. That’s my list. These are the ONLY products I use that my birds might have ANY contact with wherever they might be. I want to add that, in addition to aerosols and chemical cleaners DO NOT use freshening products like Fabreze or Carpet Fresh. They are directly responsible for the deaths of a number of birds. If something stinks, it needs to be cleaned, not covered with a prettier smell. Further, beware of solutions used in carpet cleaners and keep your birds well away from freshly shampooed carpet. No Scotch Guard type products on your furniture upholstery, either. Sorry. I know birds enjoy pooping on couches. I want to impress upon you that many off-the-shelf products that claim to be “pet friendly” are not necessarily created with birds in mind. There are many bird specific cleaning products on the market. I have tried many of them, and find none to be more effective than ones you can make cheaply yourself from products you have in your kitchen. I advise you to stick with the tried and true methods of keeping your bird’s environments clean and safe.